Crafting Adventures: Eurgh.... this is horrid. I think everyone will agree with this sentiment. Sometimes we make cards we like. Sometimes we make cards we love. However, sometimes, for no particular reason, a card which started with such promise, morphs itself into something we hate. This is one of those cards. I have no idea why I dislike this monstrosity so much, I just do. In fact the only reason I am sharing it with you is because it fits in with this weeks Just Magnolia challenge (Going Dotty) and also the sketch over at Cute Card Thursday. Anyway, I'm clearing off now as I can't bear to look at it any longer. Rest assured I will be back tomorrow with something a millions times more attractive! You're being to hard on yourself, Tilda looks fantastic and she makes a wonderful card. cute card with little miss tilda! thanks for joining us at CCT this week. Awe, I love it! So cute! 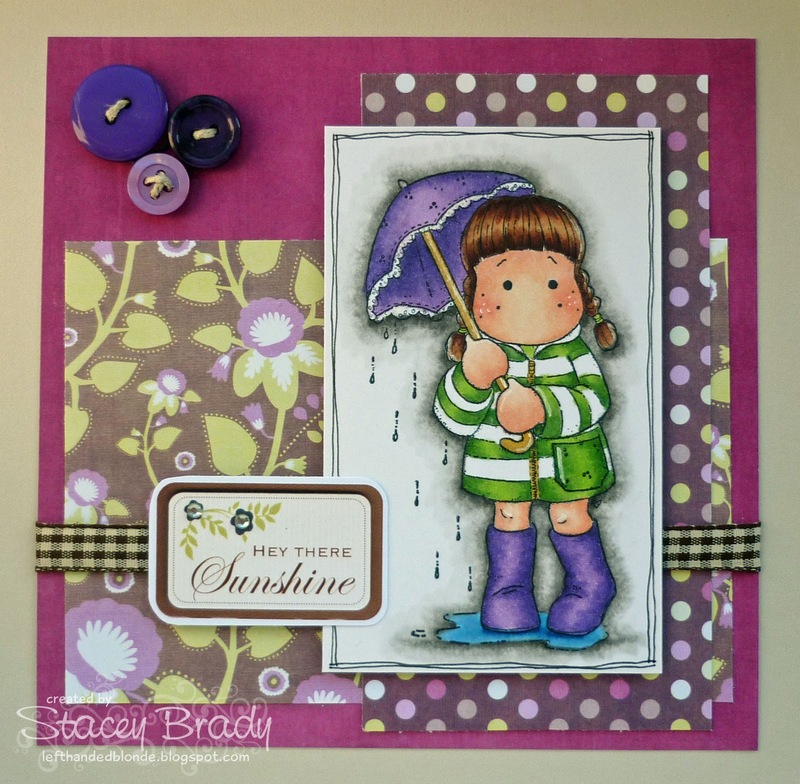 Thanks for joining the Just Magnolia "Going Dotty" challenge! I'll Miss You a Latte! I'm a Some Odd Girl Guest Designer!